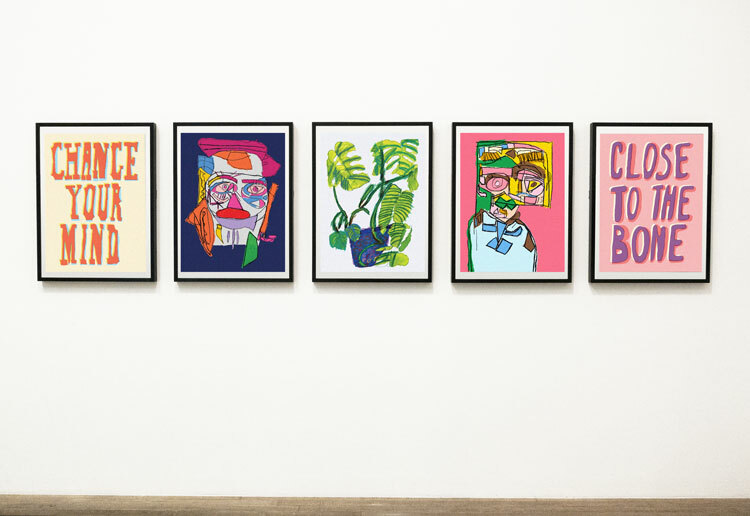 Pharmacy 2 is set to open at Hirst’s Newport Street Gallery in Vauxhall, London, 13 years after his last restaurant closed. 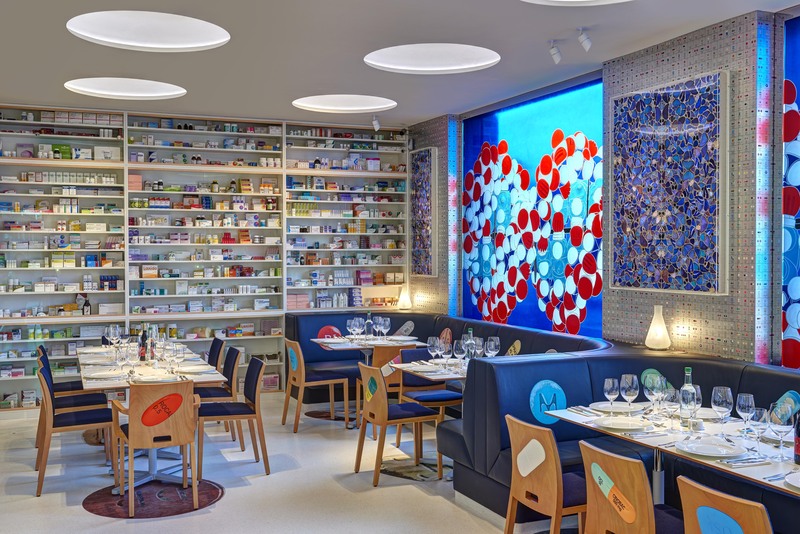 Damien Hirst is to become a restaurateur again by launching Pharmacy 2, which he designed himself. 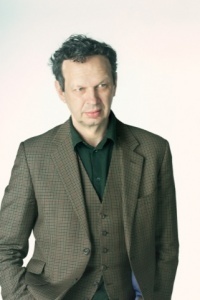 It is his second foray into restaurants following the Notting Hill, London-based Pharmacy, which was open from 1998-2003 and was designed by Universal Design Studio. 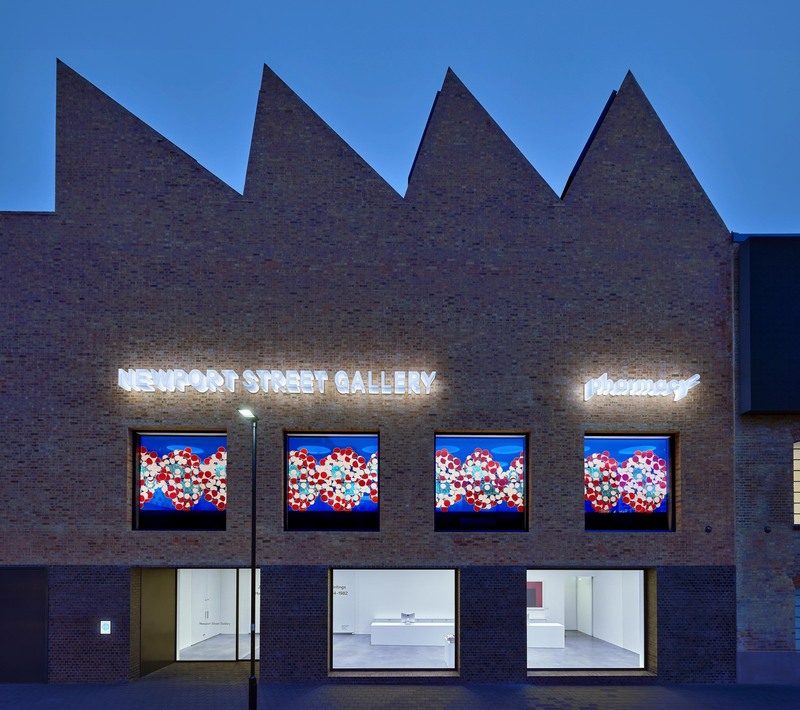 Pharmacy 2 is situated in Hirst’s Newport Street Gallery in Vauxhall, which opened last year, and was designed by Caruso St John. 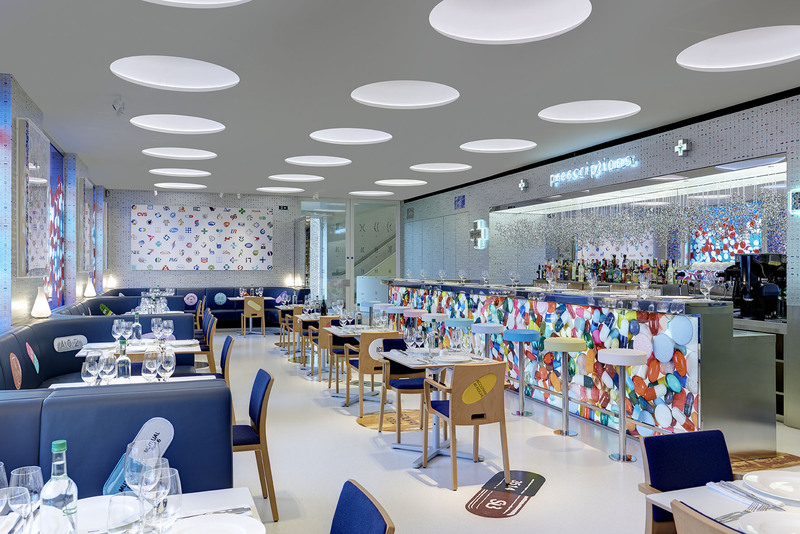 Inside the restaurant, Hirst has applied an atomic and pharmaceutical aesthetic, which harks back to his 1992 artwork Pharmacy. 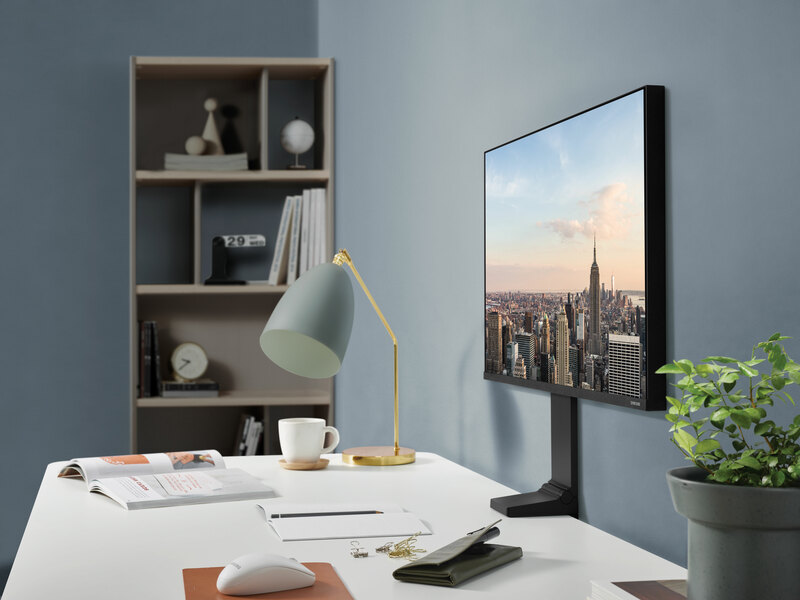 The space appears to have both a playful and clinical feel. 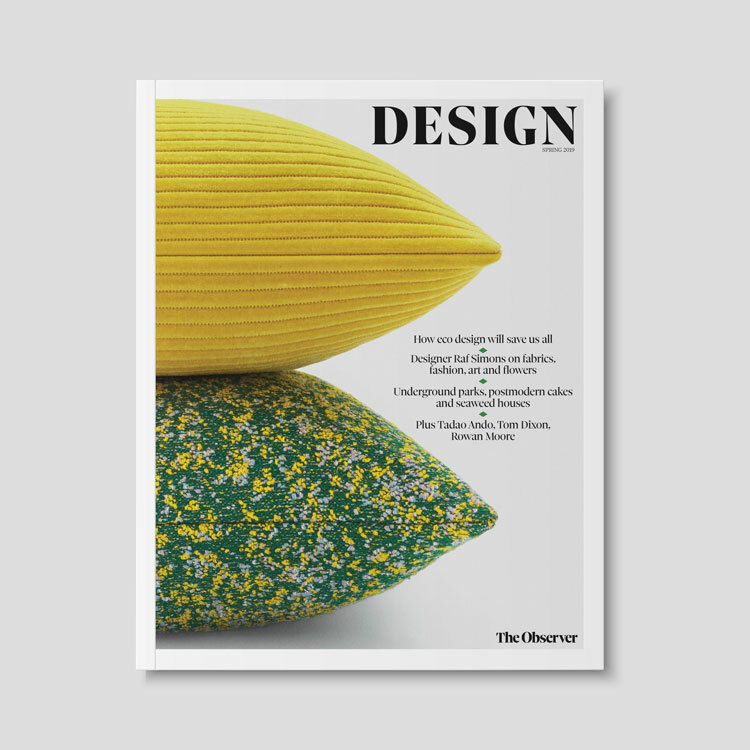 Bar stools are pastel coloured pills, while graphics of tablets have been applied to furniture and walls, which also feature the logos of pharmaceutical brands. 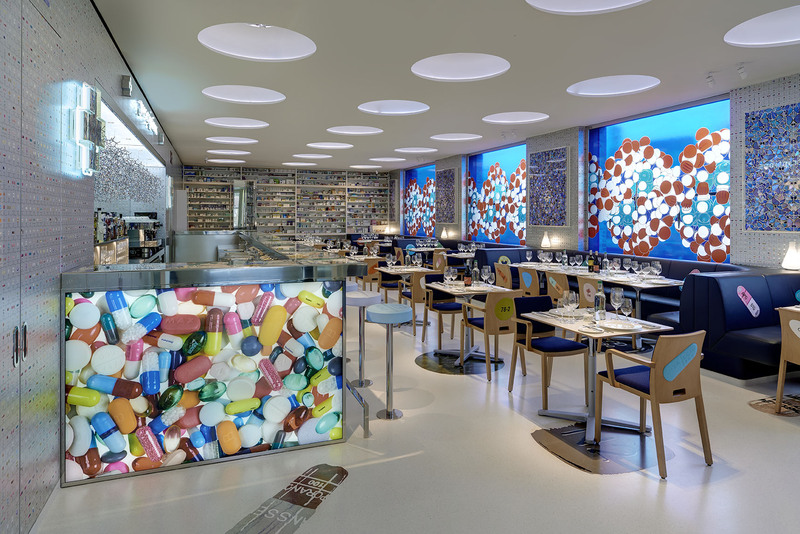 Above the bar, a neon “prescriptions” sign hangs, and with it a series of molecular structures, which are echoed in backlit wall panels. The lighting appears to be quite stark, emphasising the pharmaceutical feel and a far wall features shelving for drug boxes and bottles. 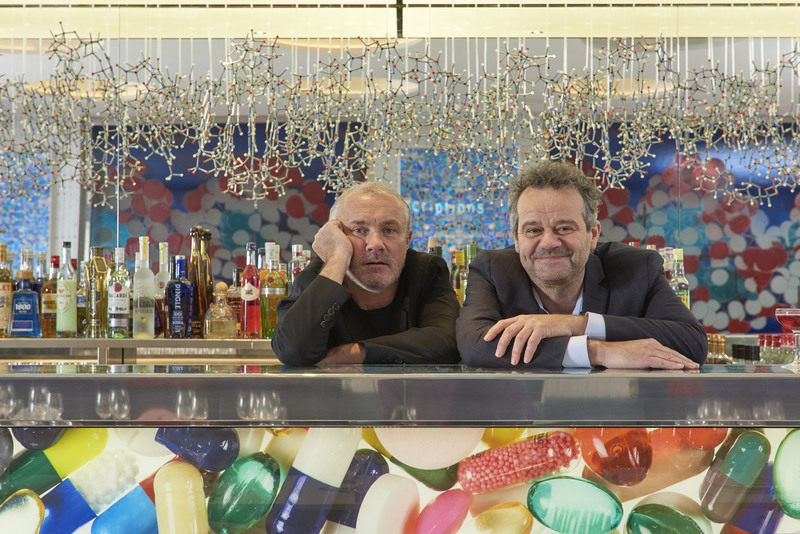 The restaurant is a collaboration between Hirst and chef Mark Hix and is set to open on 23 February. Hirst says the venture “combines two of my greatest passions – art and food”.